Turns out A Dead Japanese Beetle IS a Good Japanese Beetle! | Gardens Alive! Q: The instructions on commercial Japanese beetle traps emphasize that you have to change the bag often or the smell of the dead beetles will repel the living ones. I decided to try and use that to my advantage. When a trap bag got full, I let the beetles in it die, punched some holes in the bag, pounded it a bit, and hung it on the cherry tree they were destroying. Complete success; no beetles attacking the tree. Now I'm going to trap some more and hang their corpses on my rose bushes! A: Ha! Good old New Jersey Justice. Maybe they should change their motto from "The Garden State" to "We know how to make problems go away." Anyway, Carol's technique is an adaption of the old 'bug juice' trick that many farmers and organic gardeners used to rely on. At least as far back as the sixties—and maybe even earlier—growers would capture a number of the pest insects that were attacking a certain crop, put them into an old blender with about a pint of water, whiz it up, strain it, put the strained liquid into a sprayer and soak the plants under attack with the 'juice' in the hope that incoming live insects would smell what had happened to their relatives and retreat. Oh--and if you see Japanese beetle type damage (those distinctively 'lacey' leaves) but see no beetles during the day, you may have their nocturnal cousins, the Oriental beetle visiting your plants in the evening. Here's an specifically about this equally destructive member of the scarab beetle family. But I think Carol's idea is an improvement. I remember how stinky those beetle trap bags would get if you left them up too long, and with her additional 'New Jersey pounding', the scent will be much fiercer than if the beetles were diluted with water. 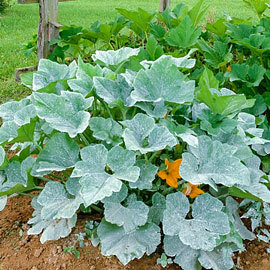 Besides, what gardener wouldn't like to pound a bag of the beetles that had just been defoliating their plants? And it's great to see that Carol is using her Japanese beetle traps effectively. 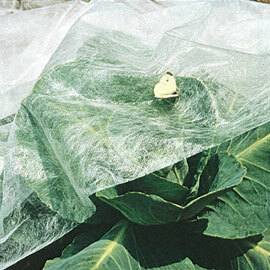 The devices can work against gardeners who put the traps right near vulnerable plants by attracting many more beetles to the plantings than would otherwise show up. But the traps can be protective when placed at the outskirts of your garden, to intercept incoming Japanese beetles before they can "smell the roses" (or grapevines, or cherry trees, or raspberries….). That's right—Japanese beetles do sometimes attack my wife's precious raspberries. (Her love of which convinced me to become a gardener way back when!) This year, I've only seen—and successfully squished—maybe a dozen so far. And they've only been on the leaves, not the fruit. But if I had bigger problems (like a lot of my listeners are reporting), I just might hang some traps on the outskirts of my property and 'borrow' Carol's idea. And if you're in a beetle-infested area where it's been constantly wet (as has been the case in the Mid-Atlantic States this year), I would treat the lawn with milky spore disease over the next two months or release beneficial nematodes into the soil when it's nice and wet on a warm evening. Female Japanese beetles love to lay their eggs in wet lawns, and sometimes that turf is going to be constantly wet even when the lawn owner is personally watering wisely. Beneficial nematodes and milky spore are safe ways to eliminate the grubs that would have emerged as rose-ravaging beetles next year—after feasting on the roots of your poor lawn this fall. Just choose nematodes or milky spore; don't use both at once. And don't use chemical grub killer—it's toxic to you, your pets and wildlife and it would negate the effectiveness of the safe methods.